Capacitive pick-up probe with removed front segmented aperture. 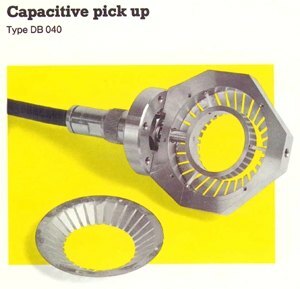 Inner ring is provided for current pick-up; also seen is the sealing flange with vacuum-sealed Ntype connector and segmented apertures for tuning of impedance. Measurement and monitoring of stability of an accelerator with respect to the energy. By passing the inner electrode, the particle bunch induces a current on the electrode, which is proportional to the time derivation of intensity distribution within the bunch.